Nietzsche acknowledges that this essential Heraclitean thought – everything flows, nothing, not even the dear self, abides – can lead to despair. After bearing the burdens of its own culture (camel), and then destroying the values that structure it (lion), the spirit reaches its greatest height. For Nietzsche, then, the pais paizôn represents both Heraclitean Becoming as well as the most affirmative human response to Becoming. Insofar as the child is counted as paradigmatically playful, this is the worldview lurking behind it. The second paradigm is the adult at play. Typically this means playing games tightly structured by rules, which in turn establish precisely what is missing in the play of a child: an end, goal or telos. Athletes, for example, compete for a prize and so strive to win. To do so they must play by the rules. In basketball two points are awarded when the ball goes through the hoop, and players are not allowed to use their feet to kick the ball. In football one point is given when the ball goes into the goal, and players are not allowed to handle the ball. (By contrast, a child with a ball feels free to use hands or feet or nose to move it.) Such games have strict spatial and temporal boundaries. A basketball game lasts for 48 minutes and its court is 94 feet long and 50 feet wide. Such constraints are required in order for the game to take place. 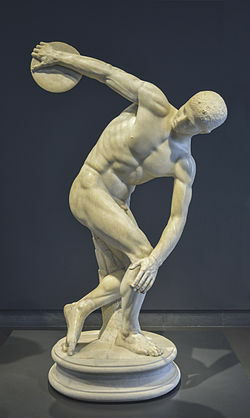 For they establish what counts as victory, and thereby make it possible for the athletes to compete against each other. The temporal and spatial limitations of an athletic competition are artificial, and they create a play-world whose meaning is entirely insular. A basketball hoop is placed precisely 10 feet above the floor. While it could not be 100 feet, since that would be beyond the capacity of a player to reach it, it could just as well be 9 or 11. A football game lasts 90 minutes. It could not last 900, for this would be beyond human endurance. But it could be 85. In short, the rules of a game, and therefore the telos they constitute, are not only artificial but (relatively) arbitrary. They generate a self-contained space in which certain physical movements are allowed and others are forbidden. As a result, a game can look absurd to an external observer. Why should grown men and women strive so intensely to put a ball through a hoop that just happens to be 10 feet above the floor? Why shouldn’t they be allowed to kick it? Why should they care so much about scoring more points than their opponents after exactly 48 minutes of play? After all, doing so has no meaning or value outside of the strictly conventional, and radically temporary, arena in which the athlete competes. For this reason, the overwhelming majority of athletes – those who are “amateurs” (from the Latin amare) and play neither for riches nor fame but simply for “love” of the game – quickly forget the results of a competition. And this discloses the extraordinary feature of athletic play. 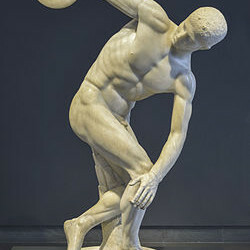 Within the confined space and time of the play-world, athletes – from the Greek athlon, “prize” – struggle passionately. They “agonize” – from the Greek agôn, “contest” – for they are entirely concentrated on winning. In this sense, they are serious. But the telos of their sometimes furious activity is not serious. Putting a ball through a hoop that just happens to be 10 feet above the floor has no significance outside of the enclosures of the play-world. For this reason, then, taking it seriously is absurd. And yet taking it seriously, at least while they are playing, is precisely what athletes must do. In short, this second paradigm is a blend of seriousness and play. And the result is precarious. The temptation to take the game too seriously – to cheat or hurt the opponent, or to risk injury to oneself – is ever present. After all, victory is the telos. So too may the athlete be tempted to dismiss the outcome as meaningless and so unworthy of concentrated effort. After all, victory is determined by an arbitrary conglomeration of rules. But the athlete who does not try to win is not really playing the game. For the goal is victory and so the athlete, however unserious the goal may actually be, must seriously compete. The following sections of this paper will argue for this thesis: for Plato the athlete, not the child, is the paradigm of play. And this he valorizes. Indeed, for Plato serious play is the model of human beings at their best. By contrast, Aristotle is dismissive of play in either of its paradigmatic manifestations.